It’s #selfcaresunday — one of our favorite days of the week! On Sundays, our @cbdsuperfood team sets our intentions on self care. This can manifest in so many forms — a restorative yoga sequence, a walk in nature, curling up in bed with a good book, to name a few — and we love using food as a foundation for taking care of ourselves. 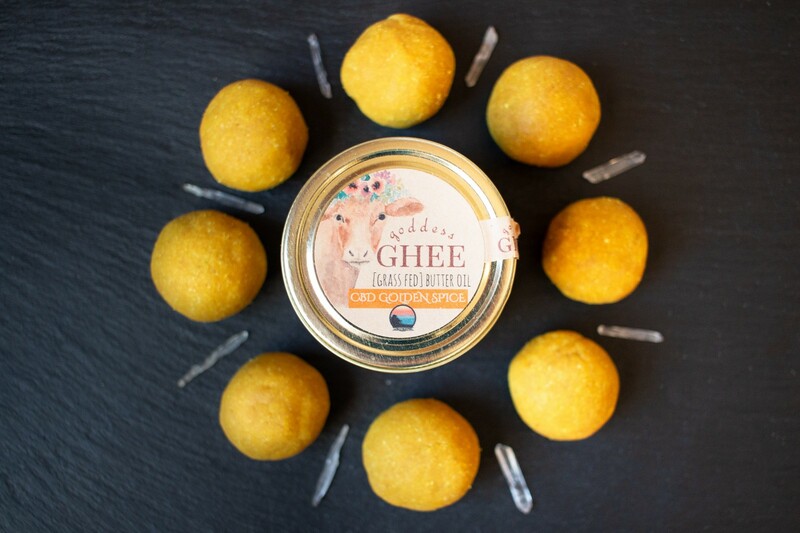 These Golden Spice bites feature our @cbdsuperfood x @goddess.ghee Golden Spice Ghee. Flavored primarily with turmeric, each bite contains anti-inflammatory benefits along with the possible benefits of CBD which are especially important as we enter into colder weather (and cold season!). Head to Instagram for a product giveaway, and check out this delicious recipe below! In a pan on low heat, warm nut butter, maple syrup, and vanilla extract. Remove from heat and add Golden Spice Ghee and coconut flour. Combine until well mixed. Form balls and place in freezer or fridge to set.